Please do not wear it do any sports activities. A. Use them during sporting events, fairs, festivals, parades, in front of fast food centres etc. Q. How do we set-up the inflatable costumes? A. Setting up these costumes is as simple as wearing a shirt or a trouser. Just unpack the costume, roll it out and put it on. Take care only when you are inserting your hands and feet -- to ensure that the costume does not get out of shape. Q. Which material is used to make the costumes? A. Rib Stop industrial strength nylon. Q. How mobile a person can be after wearing the costume? A. After wearing the costume, you can walk, run, jump, greet people, shake hands with them and even hand out things like pamphlets etc. Q. 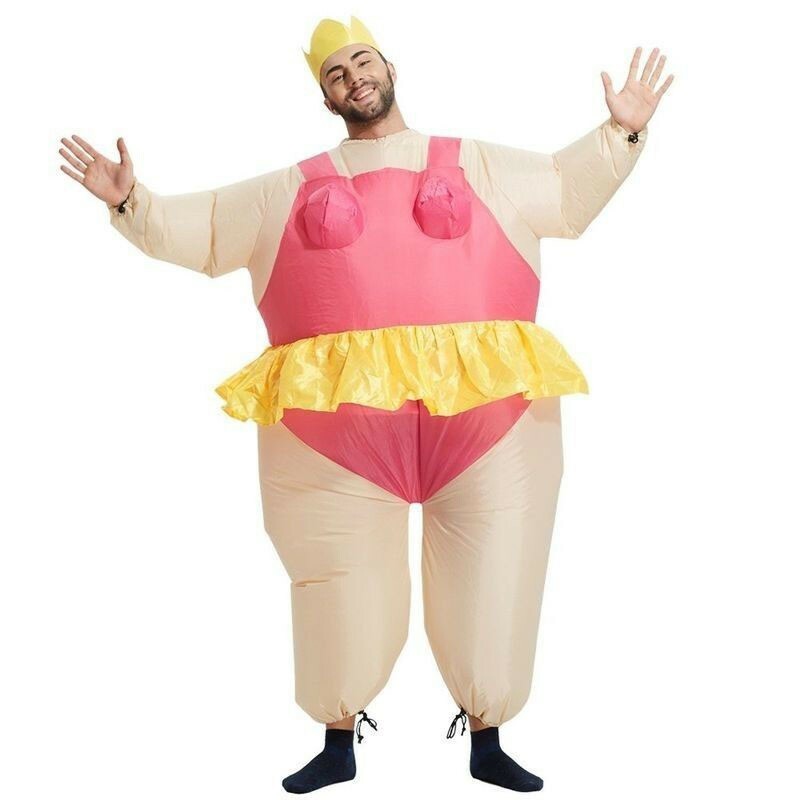 Will it be suffocating or hot for the person wearing the costume? A. No. The blower continuously circulates fresh air -- so there is no chance of feeling hot or suffocated. Q. What are the maintenance costs? A. They are negligible -- in fact minimal. Q. Can we wash the costumes if they get dirty? A. Yes. They can be washed. Just don't use strong soaps or detergents. Also, do not scrub the surface too hard as it can damage the art work. Use a mild-cleaning agent to wash.
Q. How do we repair the costumes? A. Minor cuts or holes will not affect the costume during displays. However, they can be easily repaired later. For extensive damages, factory repair service is available at nominal charges. Q. How long do these last? A. If maintained and stored properly, these costumes can last as long as you want them. Durable weatherproof , Convenient installation/ easy to use, Self-inflating in minutes, Easy storage. A.Also called air-filled costumes, the life-like characters invite hugs from loads of smiles from kids and youngsters. They can be worn like a costume and you can still walk, run and mingle with the crowd. Become focus of attention at all gatherings ..